As we all know time around the holidays can be super hectic. And trying to remember all those small details and things we're supposed to do isn't always easy. So if there's something out there that can help alleviate one of those daunting tasks wouldn't you want to check it out? Well, that's exactly what I did, and am here to share with you today! It's called Evergreen Elf, and it helps monitor your Christmas Tree stand water level. The innovative and interactive Christmas Tree water monitor will alert you when the tree is dry, saving you the hassle of climbing over presents and under branches to check the water level in your tree stand. Every year, millions of dollars in damages are directly related to Christmas tree fires, causing tragedy during a time of joy. This fire risk can be reduced by ensuring that the tree is never thirsty. The Evergreen Elf Christmas tree water monitor has both a visual alert and a fun audio alert, works with most available commercial tree stands, and the interchangeable batteries are designed to last the entire holiday season. The Evergreen Elf’s engaging personality helps make watering a fun activity for the whole family. This year, forget sticking your hand in that dirty water. Get an elf to help – Evergreen Elf! 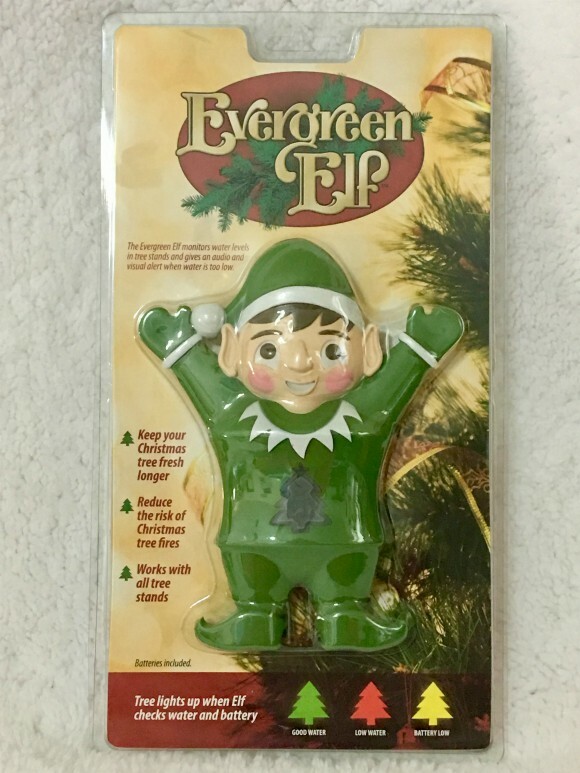 Evergreen Elf helps make watering your Christmas tree a fun activity for the whole family. Just check out this video to see for yourself how valuable this little helper can be! Buy it: Be sure to use my special code TILTONELF95 when checking out online for extra savings! Disclosure: This is a sponsored post on behalf of the above mentioned brand. I received monetary compensation or product(s) in exchange for my honest and unbiased thoughts. All thoughts and opinions stated are my own and are in no way influenced by my partnership with mentioned brands. This is so awesome! It would come in so handy in our house because I always forget to water the tree. This is super cute, perfect for Christmas and pretty handy to use too. I so need one. What a cute little helper! He's super cute and would be so useful! This is great! I really need something like this cause I never remember to water the tree when it should be done. This is a cool item! It looks much better than if it was a stick to tell you it was dry. It is very festive and cute!